Fabulous and glam - can't wait to see these in the stores! Golsign, in my opinion, is a very special brand. It is not a mass production brand, like many others, but it produces in a lower scale, and their styles many times are pretty much limited to very few items. At least, this is my experience with Goldsign. So, if you love a pair of their jeans, you should not think too long but grab them right away, or they might be sold out. “For Spring 2015, Goldsign takes a strut down London’s Kings Road of the 70’s and 80’s. Drawing inspiration from Vivienne Westwood and David Bowie’s Ziggy Stardust, this collection is unashamedly glam rock. Treading the line between street wear and evening wear the collection dares the wearer to embrace their individuality and adopt Goldsign’s fearless approach to dressing. 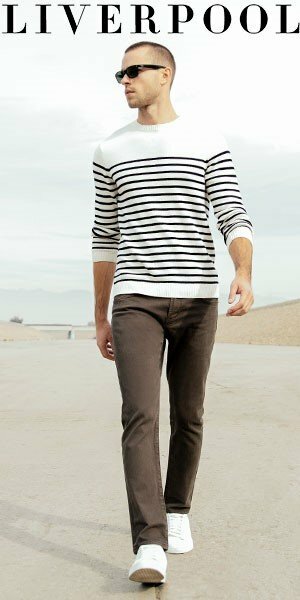 The collection boasts Parisian high fashion with a casual LA twist, to create pieces that can be dressed up or down, but won’t blend into the crowd. 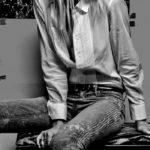 “Boyfriend fits Stevie, Mr Right and His Jean come two ways: shredded and distressed or patched mended and re-worked for a luxe-punk feel. Iconic skinny silhouettes Lure and Glam come in new leatherette finishes in pearly pastel tones, or a ripped and sullied white with grey. New shapes include the Marcy: a cropped skinny fit with zip hardware at the ankle, and the Stella: a sophisticated flare for irreverent evenings. 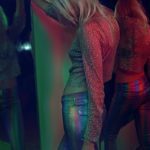 The collection is crowned with an iconic metallic-foiled skinny jean in rainbow stripes: truly the ultimate Glam Rock jean. You can purchase Goldsign jeans from their current F/W ’14 collection here.